"A Wicked Twist on Romantic Comedies"
"A High-speed romance that kicks love into overdrive"
SYNOPSIS:At an age when everyone around them is finding love and settling down, self-proclaimed loners Beck (Renée Felice Smith) and Liam (Matt Bush) are emotionally hibernating through adulthood.After bonding over their mutual disinterest in relationships, they decide to go away together on a 'friend' trip. And that's when things get weird. Really, really weird. 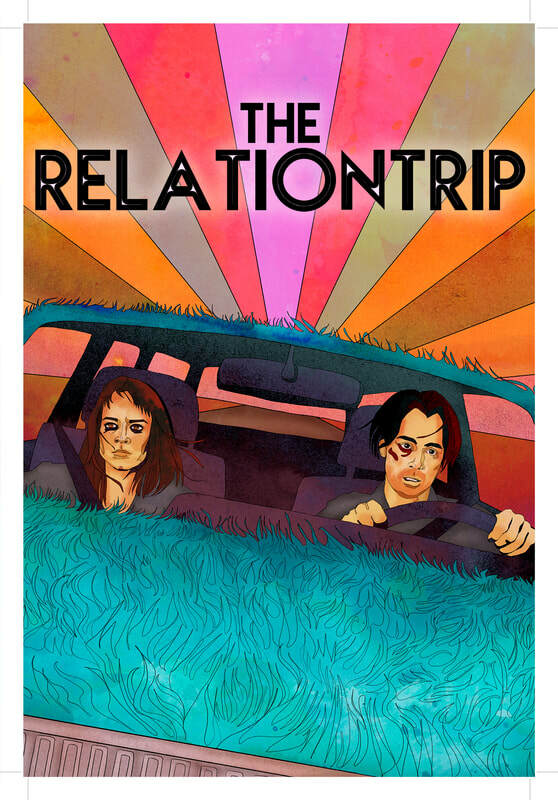 Featuring hands-on practical effects, dynamic storytelling, and one very charismatic puppet, THE RELATIONTRIP marks the feature directorial and writing debut of Renée Felice Smith (NCIS: Los Angeles) and C.A. Gabriel. The duo combines their unique voices with fresh innovation to subvert romantic tropes and craft a story that is as playfully heart-warming as it is cleverly surreal.